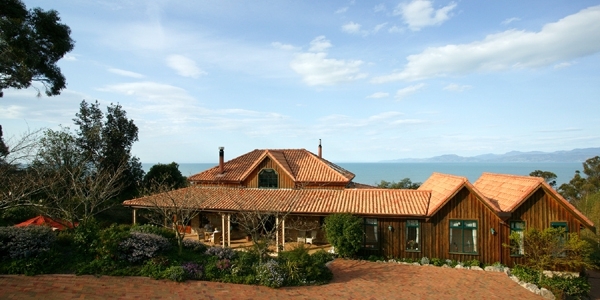 "After cycling and camping in the Golden Bay/Nelson area it was simply sublime luxury to stay with John & Jenny Marchbanks at Sandstone House. Delicious breakfasts included freshly picked local berries and Jenny's homemade jams. 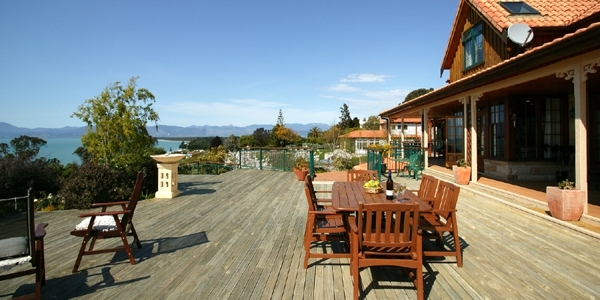 Ruby Bay is an easy walk or drive to Mapua where there are many eclectic shops and galleries It boasts a fantastic bakery/cafe, restaurant specialising in mussels and a general store with a great wine selection. Cyclists can go over to Rabbit Ins via the Mapua Ferry. There are great cycle trails in the area and we enjoyed walking the coastline. Drive to Kaiteriteri's golden sands or Marahau where the Abel Tasman walk begins. "The Views from Jenny and John's house are spectacular, what a great place to relax for a few days."